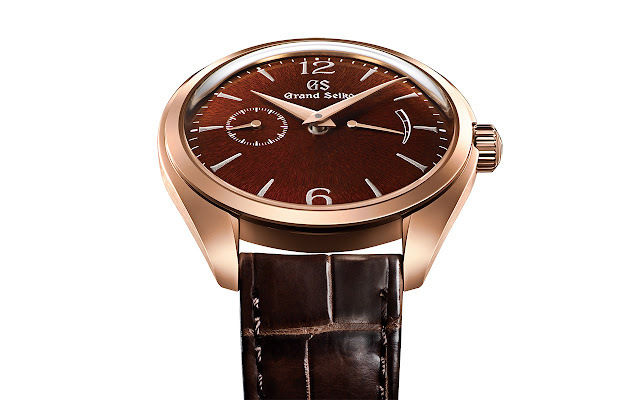 With the new Elegance Collection, Grand Seiko introduces a new design direction made possible by the adoption of a new movement, the hand-wound Calibre 9S63, offering a small seconds hand at the 9 o’clock position and a power reserve indicator at 3 o’clock. This elegant layout is ideal to emphasize the beauty of the curved dials, protected by domed sapphire crystals. The minute and power reserve indicator hands are also bent so that they follow exactly the contour of the dials. Characterized by a slim profile, the 39 mm x 11.6 mm case is polished using a proprietary technique known as Zaratsu or blade polishing which is performed by carefully applying a rotating tin plate against the case at a very precise angle. The resulting surface is so highly polished that it looks black from certain angles. Waterproof to 30 metres / 100 feet, this case is also resistant to magnetic fields up to 4,800 A/m. Beating at a frequency of 4 Hz (28,800 vph), the Caliber 9S63 has a power reserve of 72 hours and delivers an accuracy rate of +5 to -3 seconds a day. The blue lion mark and tempered screws can be seen through the sapphire case back. 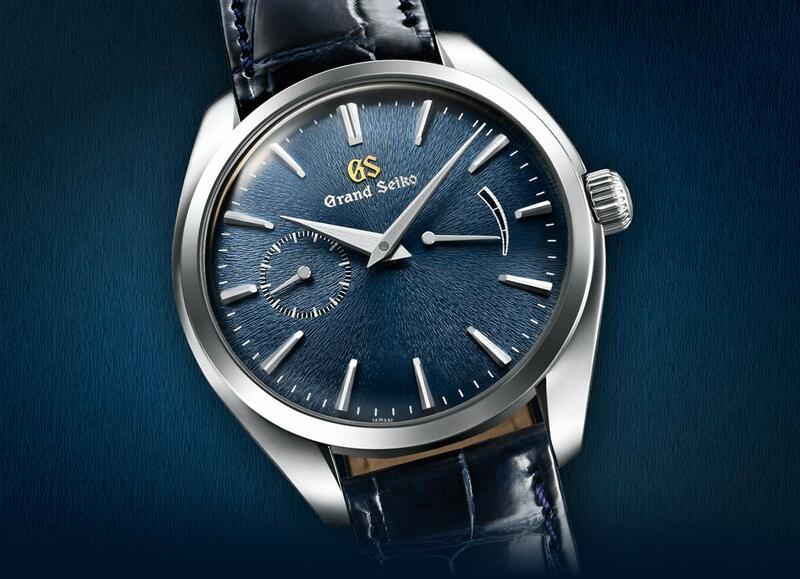 So far Grand Seiko presented four references in the Elegance Collection. The first two models are crafted from rose gold and come with amber or jet black dials decorated using a typical Japanese technique, Urushi lacquer. 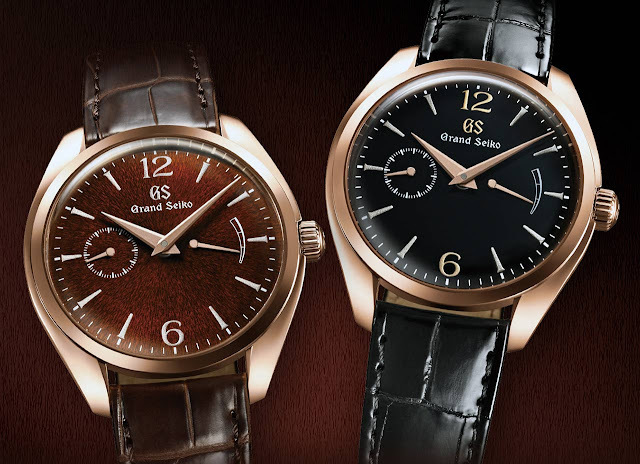 On these creations, the hour markers and the “GS” letters are decorated with the traditional Maki-e technique: through the application of layer after layer of lacquer, these markers are given a three dimensional profile and a delicate yet strong presence on the dial. A gold or platinum powder is then applied and polished by hand until a shimmering appearance is achieved. Limited editions of 150 pieces each, the Grand Seiko Elegance in rose gold with Urushi amber dial (ref. SBGK002) or with Urushi jet black dial (ref. SBGK004) have a price of Euro 31,400. 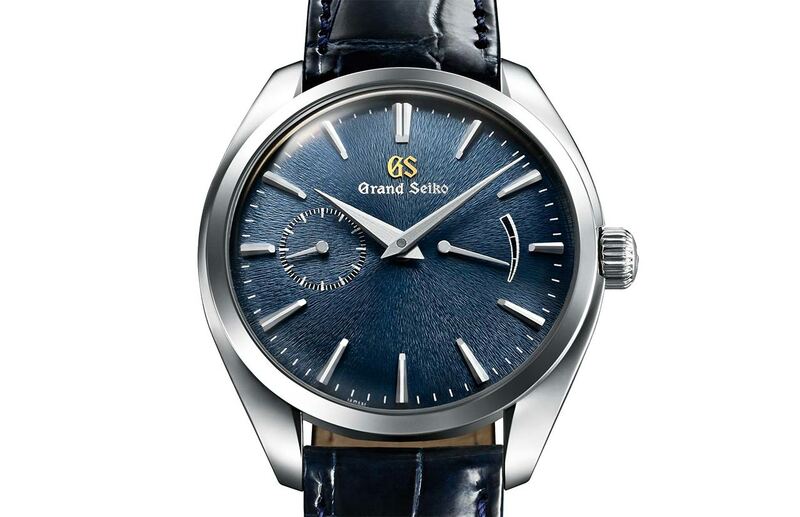 Combining a stainless steel case with an appealing blue dial, the third creation (ref. 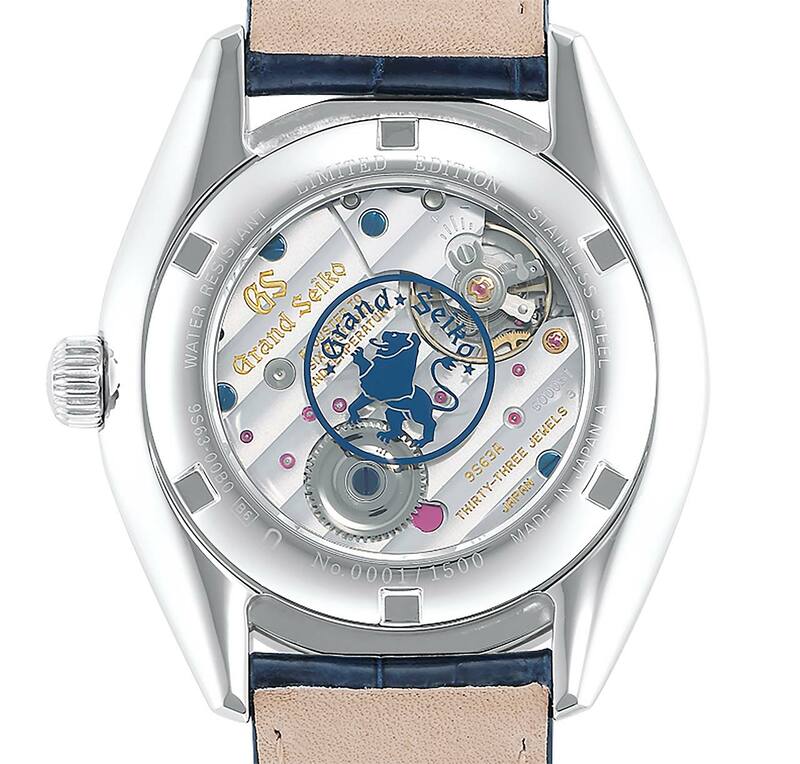 SBGK005) is an edition of 1,500 pieces with a price of Euro 7,400. In the fourth model (ref. 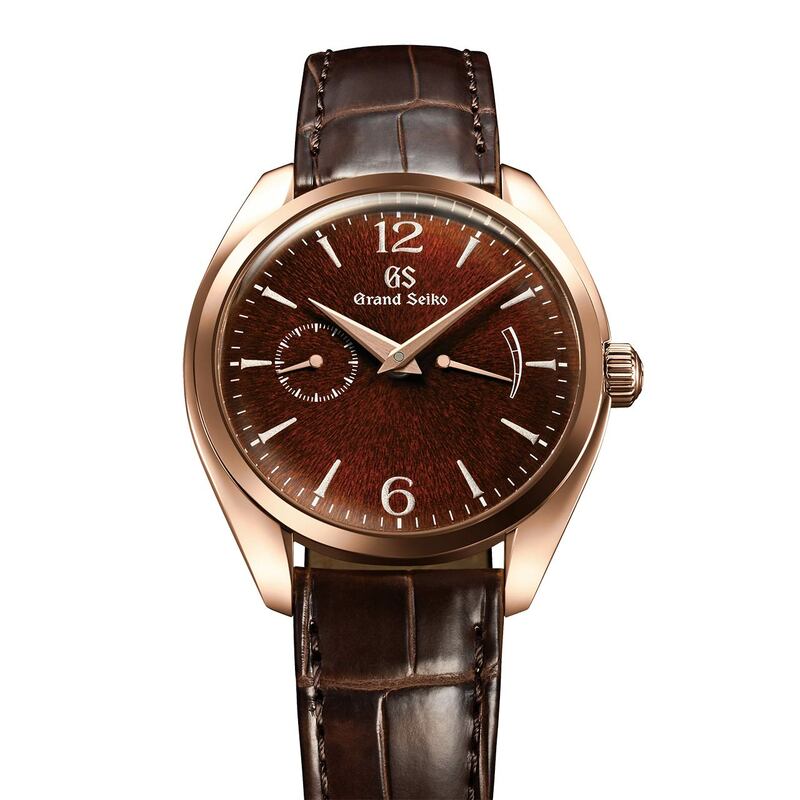 SBGK006), a yellow gold case, a clean white dial and a brown crocodile strap create an ensemble of great harmony. With the new Elegance Collection, Grand Seiko introduces a new design direction made possible by the adoption of a new movement, the hand-wound Calibre 9S63. Limited editions of 150 pieces each, the Grand Seiko Elegance in rose gold with Urushi amber dial (ref. 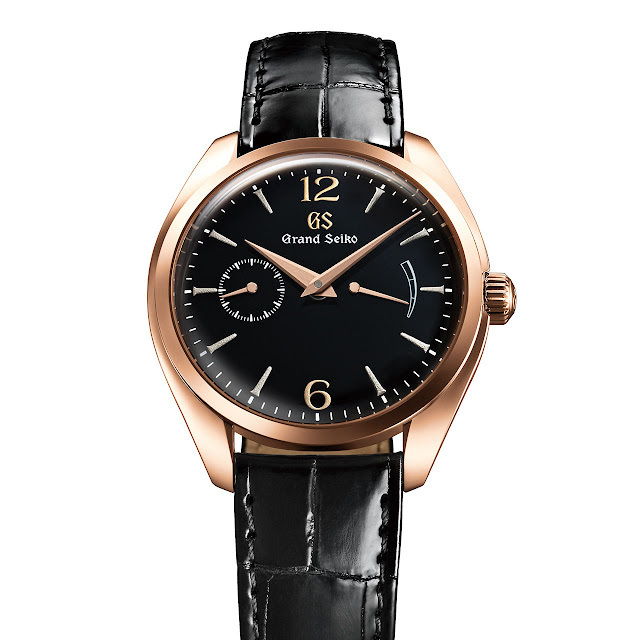 SBGK002) or with Urushi jet black dial (ref. SBGK004) have a price of Euro 31,400. Combining a stainless steel case with an appealing blue dial, the third creation (ref. SBGK005) is an edition of 1,500 pieces with a price of Euro 7,400. In the fourth model (ref. 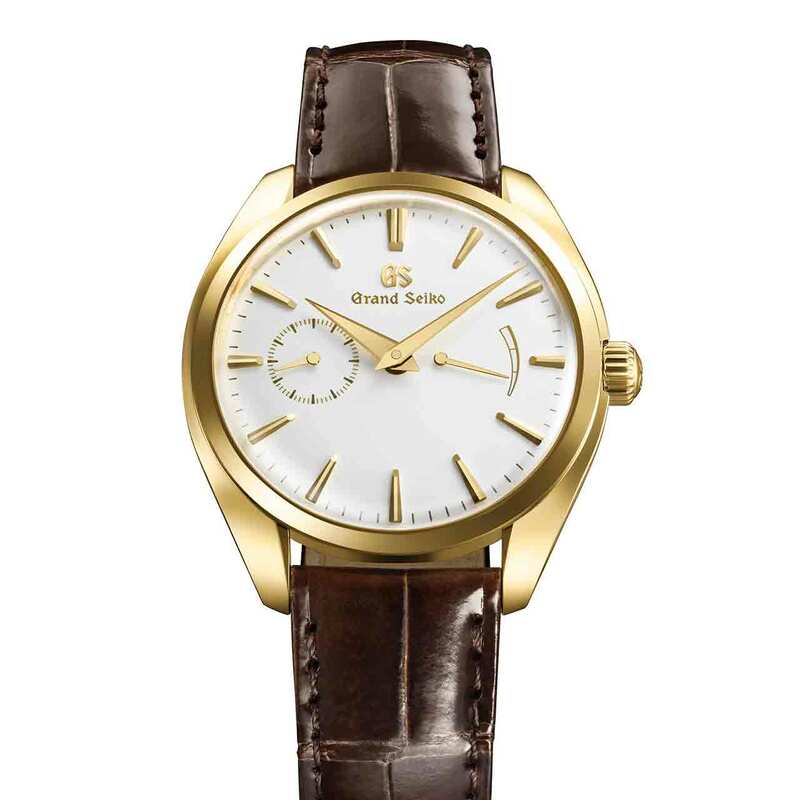 SBGK006), a yellow gold case, a clean white dial and a brown crocodile strap create an ensemble of great harmony.